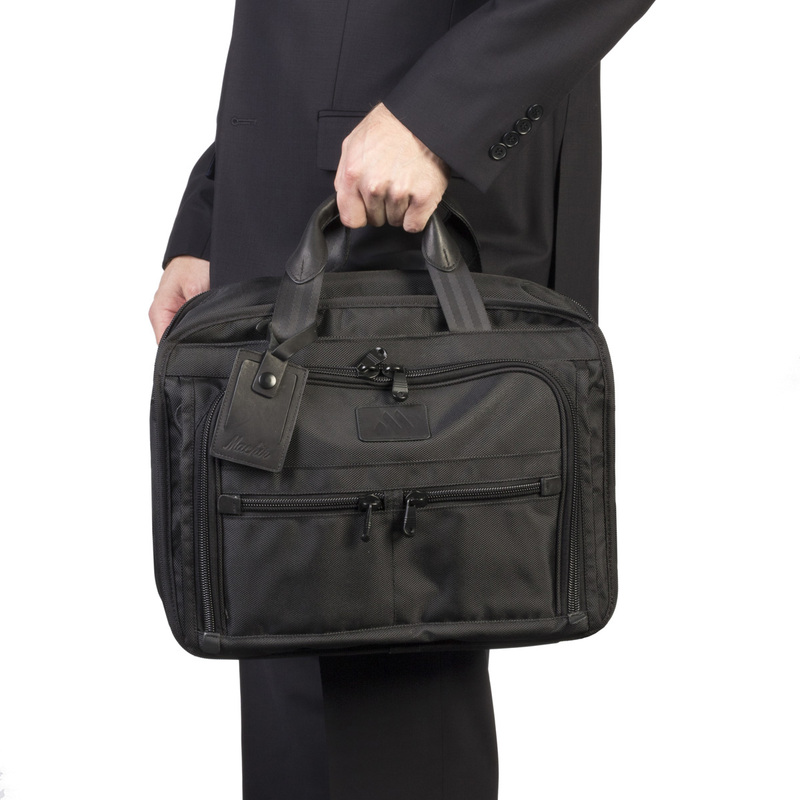 The Signature Business Briefcase exceeds with space for today’s executive or student. 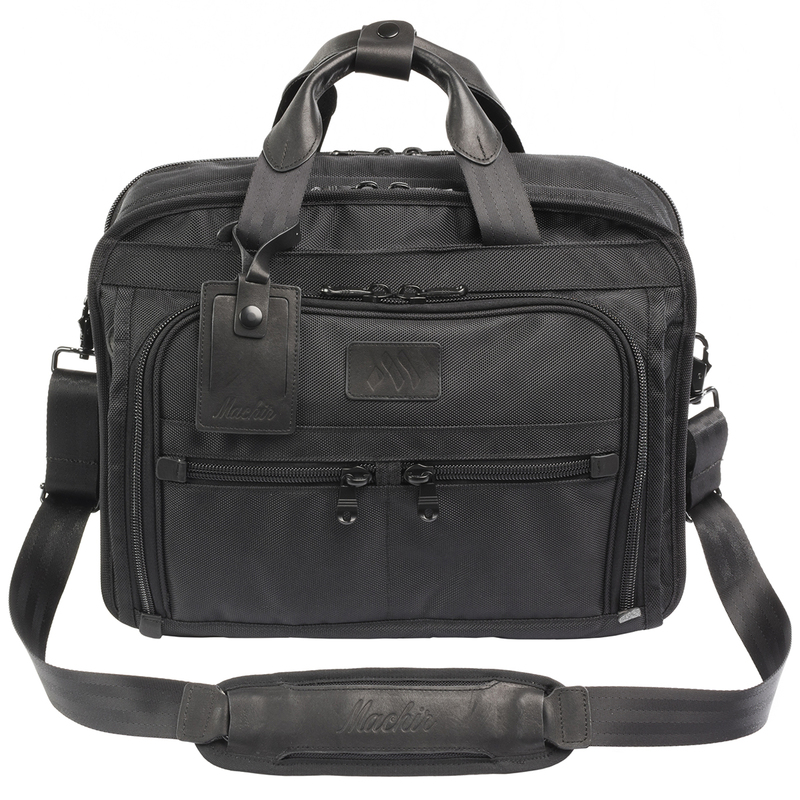 With a large main compartment with plenty of document and file storing capacity, this case has it all. 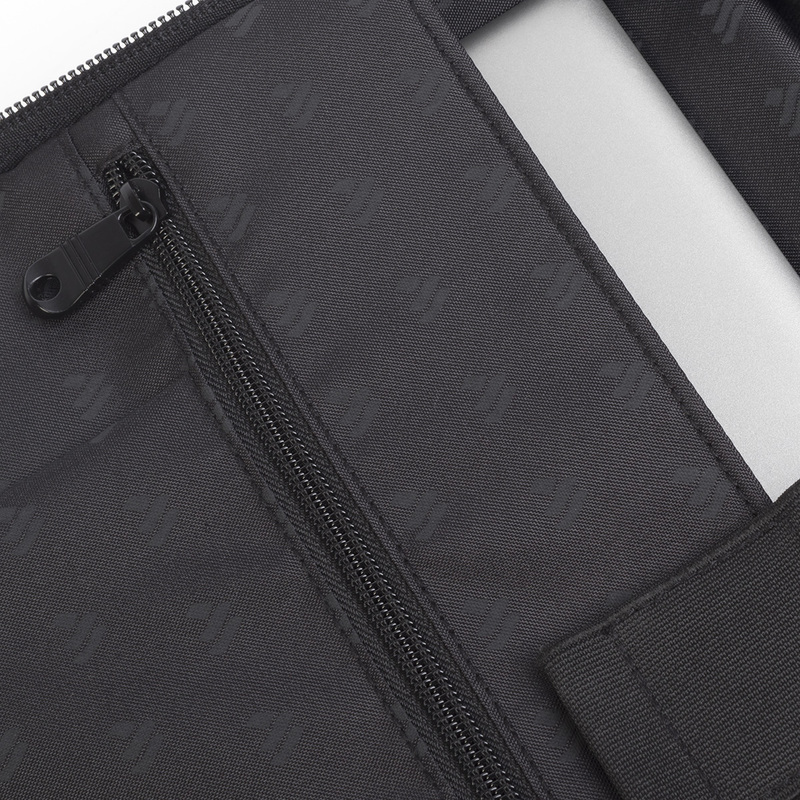 A second padded compartment is designed for your laptop and tablet protection. 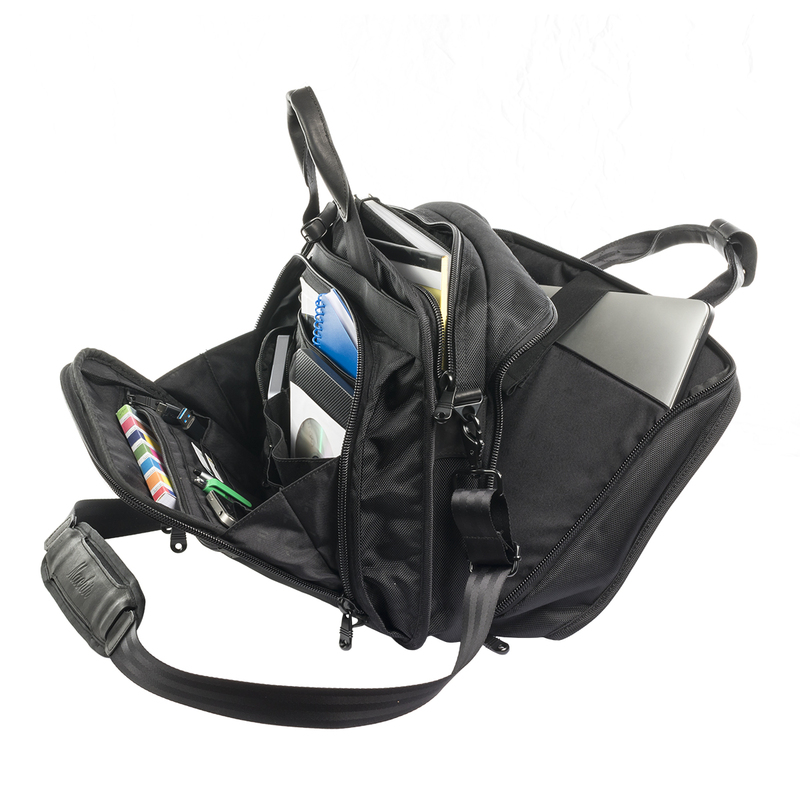 The organization compartment features plenty of individual pockets for those supplies, cords and additional accessories. 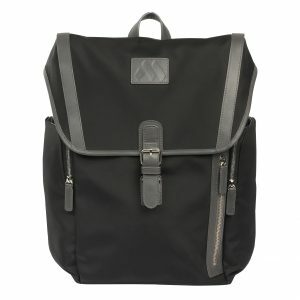 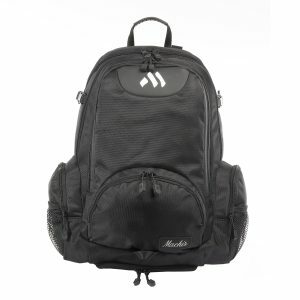 The two exterior front pockets provide easy access to its contents, and the removable/adjustable shoulder strap gives maximum comfort. 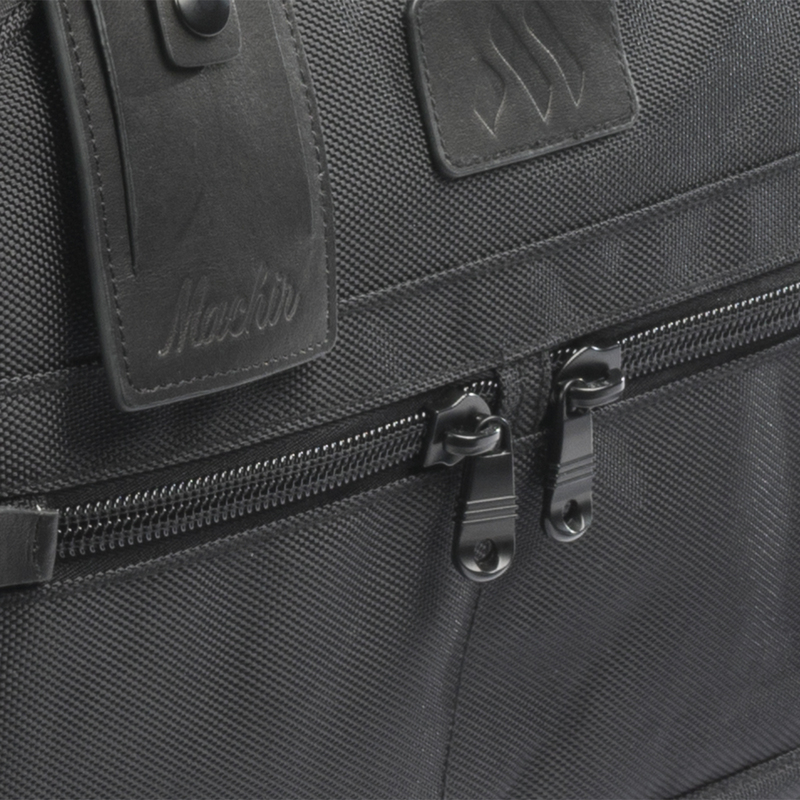 This case also features a sleeve that conveniently slips over all extended luggage handles. 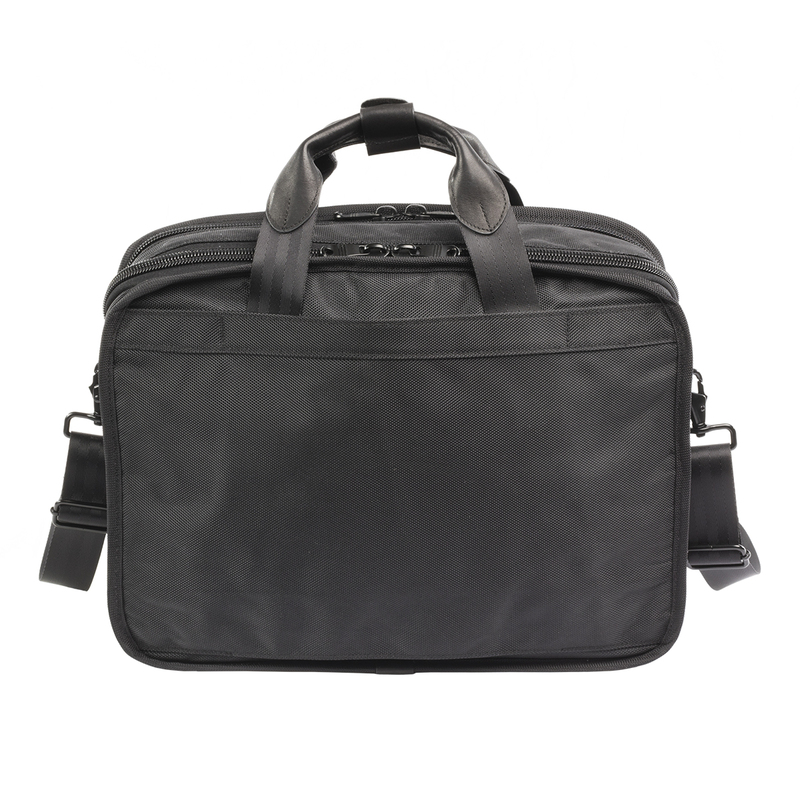 Leather trim and identification tag completes this briefcase in true urban-class style. 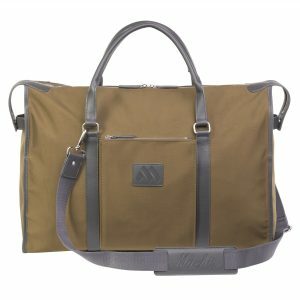 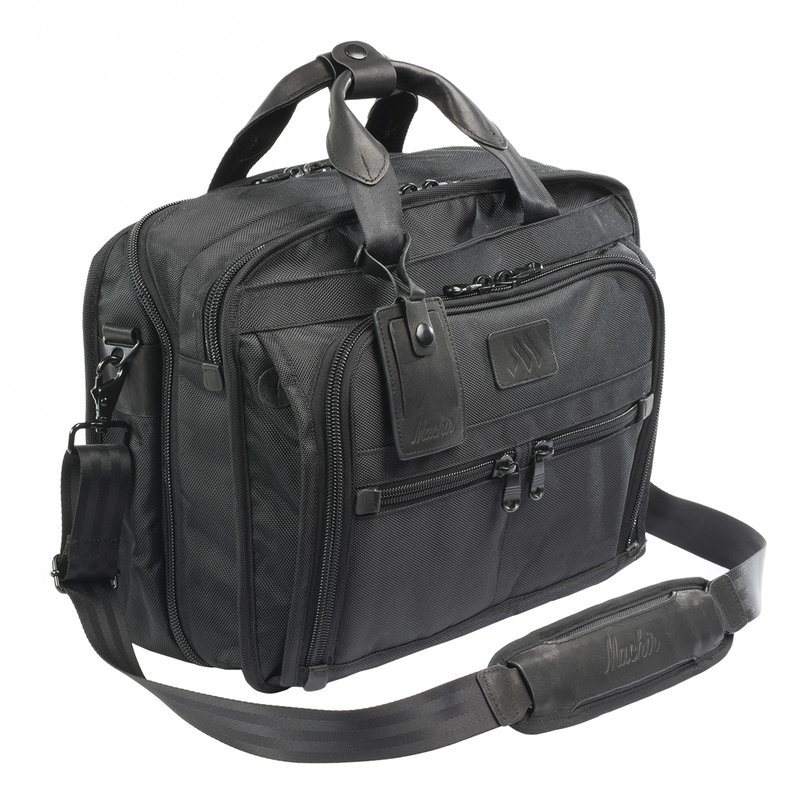 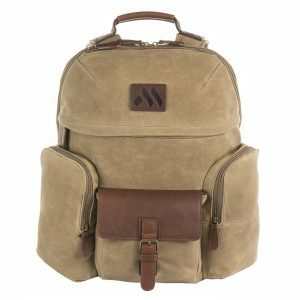 DIMENSIONS:	L:15.5" x W:4.5" x H:12"
MAIN COMPARTMENT:	L:15" x W:2" x H:11"